We would like to highlight all the wonderful guests who are coming to share our forthcoming Gala Concert. The Choir was established in November 1985 starting with just 16 members, mainly wives of some of the Male Choir singers. The numbers have fluctuated over the years, the younger members taking time out for families or some retiring due to ill health but at present there are 40 members and newcomers are always welcome to join these happy and friendly Ladies. The members cover a wide age range and come from all walks of life, some from fishing and farming families, others are career ladies and a number are retired. Many of the members live in Mevagissey and Gorran Haven but others come from the St Austell area and outlying villages. Some of the founder members are still singing in the choir. The Musical Director, Barry Farley, is very highly qualified in the music field and joined in January 2008. The pianist is David Robinson an excellent musician who lives in Par, joining in 2015. The choir has performed in many parts of Cornwall and at various places around England and Wales. They all take great pleasure from music and enjoy entertaining with their singing, always happy to help raise money for Charity . 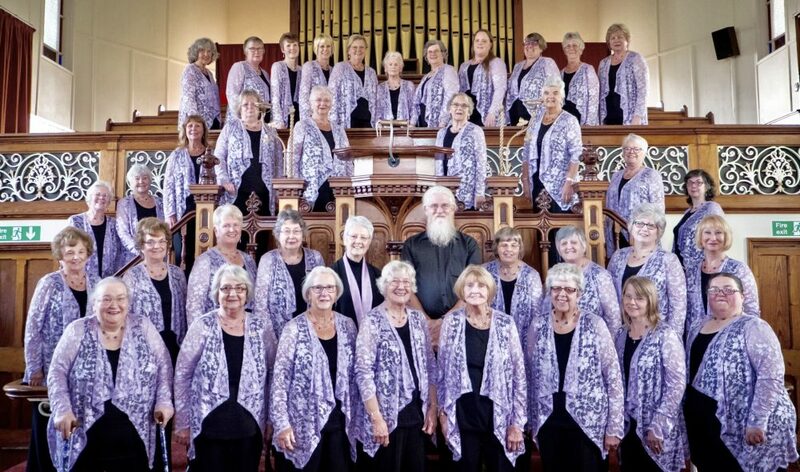 This entry was posted in Concert, Event, International Women’s Day, Mevagissey Ladies Choir, Stithians Ladies Choir by Bea Geddes. Bookmark the permalink.